Key Difference: Marble is a kind of hard, usually highly polished stone. On the other hand, Italian Marble is one type of a marble stone discovered in Italy. Flooring is one of the vital roles for decorating home. Most of the people ignore this and focus on every other detail in the room. Flooring is that part in which one needs to choose wisely and make their room beautiful. Marble is made from metamorphic rock that is pertaining to or characterized by change of form. It is composed of re-crystallized carbonate minerals. The problem of the marble stone is that it is a porous stone so it can stain. 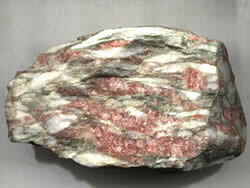 As it is a rock, the most commonly used stones are limestone and dolomite rock. Limestone makes up about 10% of the total volume of all sedimentary rocks and has number of uses as a building material, as the total base for roads, as a white substance used for coloring or as a filler making in products such as paints or toothpaste. Marble is extensively used for sculpture, as building material in interior and exterior design, and in many other applications. Marble needs a very proper care. Though it enhances one’s décor, its maintenance is on one's hand. 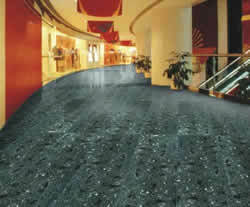 It is highly durable and has a long life than any other material. It is hypoallergenic and requires routine resealing/polishing to retain its beauty. The marble stone which was discovered in Italy is known as ‘Italian Marble’. The Italian marble is one type of a marble stone. Corrara is a place in Italy where many Italian marbles are made. The demand of Italian marble is widely seen in offices, multinational companies, malls, schools and hotels. It also has many patterns and designs and is really a very good quality of stone. Italian marble originated around 150-200 million years ago during the time of Jurrasic era. It was spread all over the world and was famous in each and every part. It is an excellent compact limestone. It is very hard and dense and provides a good finish to the home that will serve for a long time. It is famous in Italy and gives a crystal like appearance. There is quite a bit of iron mineral in this particular type of stone and if for any chance the water finds its way (even slightly) through the seams, it will turn yellow because of consequent oxidation of the iron (rust). Many white marble inherently have this problem. It is green in color. Most green marbles are serpentine that is magnesium silicate. They are compact limestone that were discovered in the island of Sicily, Italy. These stones are also very hard and dense. They require a very high polish. Sometimes, the problem arises in the Italian marble because it is softer than any other stones. They get scratches and marks which are visible to everyone. It can be polished very easily and is very user friendly. Italian marble flooring is beautiful in comparison to marble flooring because of its white pureness and crystal like appearance. They are available in the same color range. Marble manufactured locally will be lower in price than Italian marble. Italian marble is manufactured in Italy so they charge for the import and are costlier. The word ‘Marble’ is used to refer to the stones that are capable of taking polish. ‘Italian marble’ for structural purpose is considered the material of choice for the elite.